The badges for sale here on our website are 1 inch (25mm) button badges. These are the most popular size & type of badge. All of the button badges on Kool Badges are hand made in our UK workshop. We have been making button badges for many years & know how to make great badges at the best prices. If you don't see the badge design you're looking for you can Upload Your Own Custom Badges to create a unique, personalised & cheap badge! See our Design Your Own Badge page for details. Please note: A lot of the badges available on Koolbadges are made up of designs supplied to us by customers. Therefore it is not always possible to check the origins of individual designs. If you feel any badge infringes copyright please email us and we will remove any offending badges within 24 hours. We strive to ensure that all designs do not infringe copyright, and will do our utmost to rectify any instances of infringement. 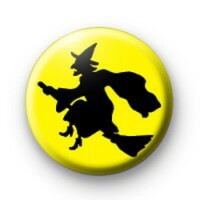 Koolbadges - Creators & Retailers of custom 25mm Button Badges. Hand made in the UK using UK Sourced hand presses & materials. A Manchester, England Based company who offer worldwide fixed rate shipping on all badge orders. Copyright © 2003-2018 Koolbadges Button Badges.